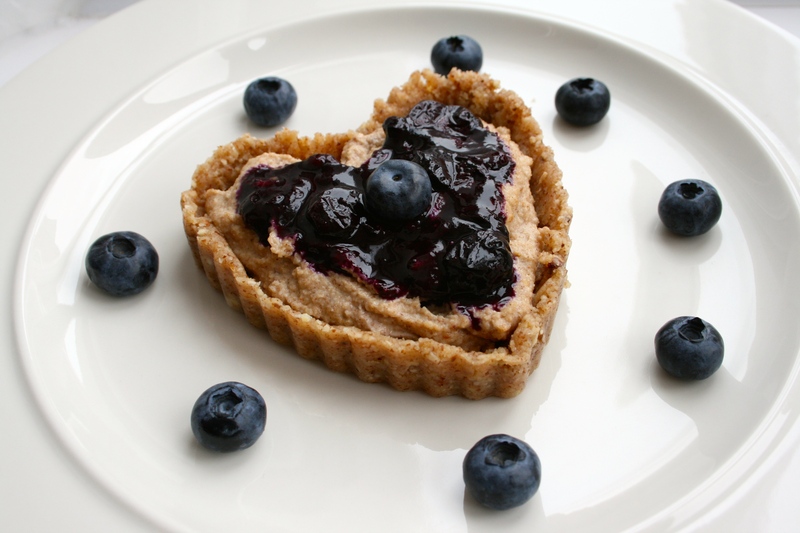 Funky Nut Butter Review and Recipe! 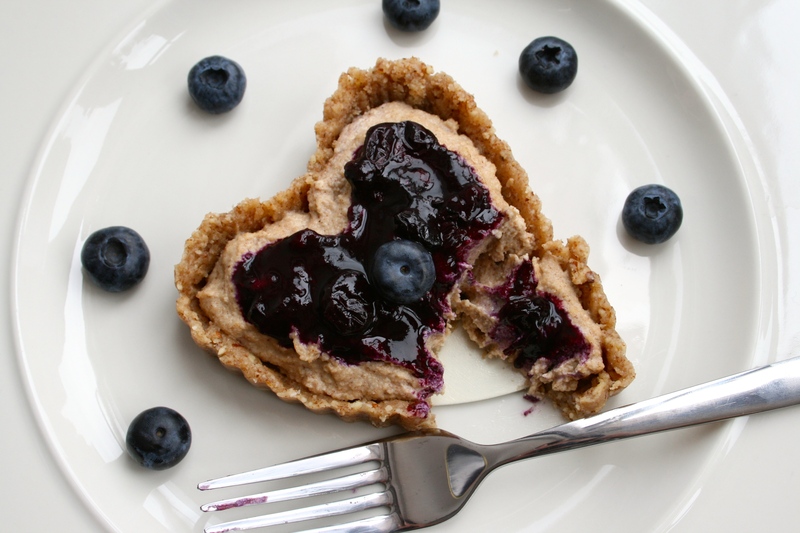 There’s a new nut butter about town – The Funky Nut Co! 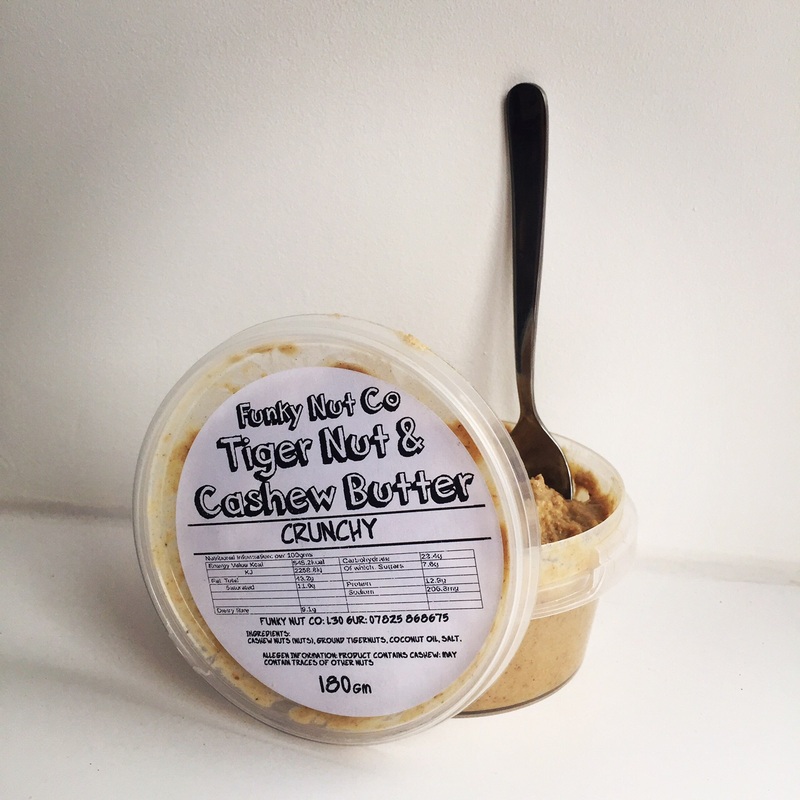 Both Beki & myself were lucky enough to get sent a tub of their NEW Tiger Nut & Cashew Butter and my goodness, what an absolute treat! And that’s it! Natural healthy ingredients, lactose and gluten free, AND suitable for both vegetarians and vegans! I found the butter incredibly creamy, both salty and sweet with huge crunchy cashew chunks. 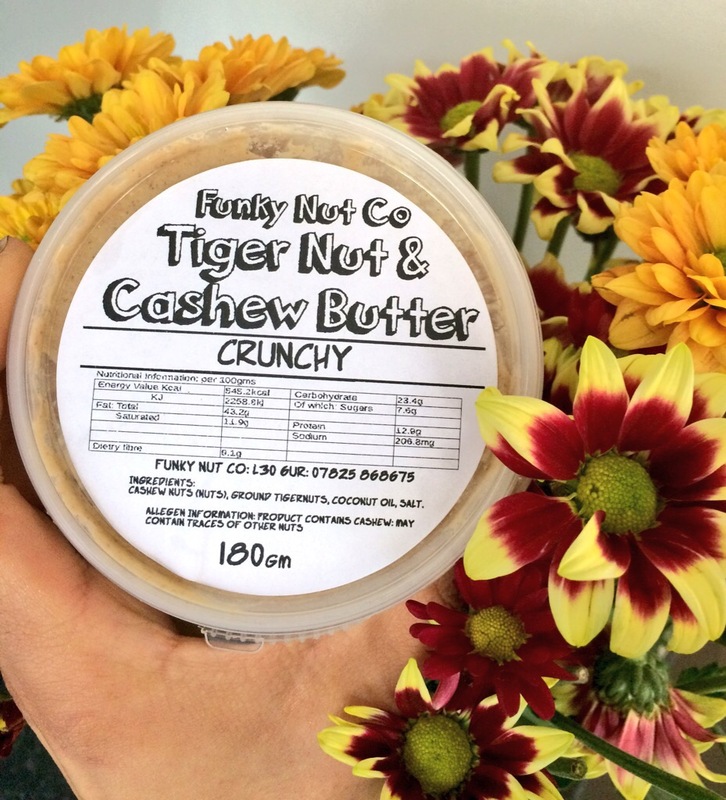 I absolutely adore the thick crunchy texture, you can really taste the smooth cashew and coconut with hints of tiger nut coming through- absolutely moreish and delicious! 5. 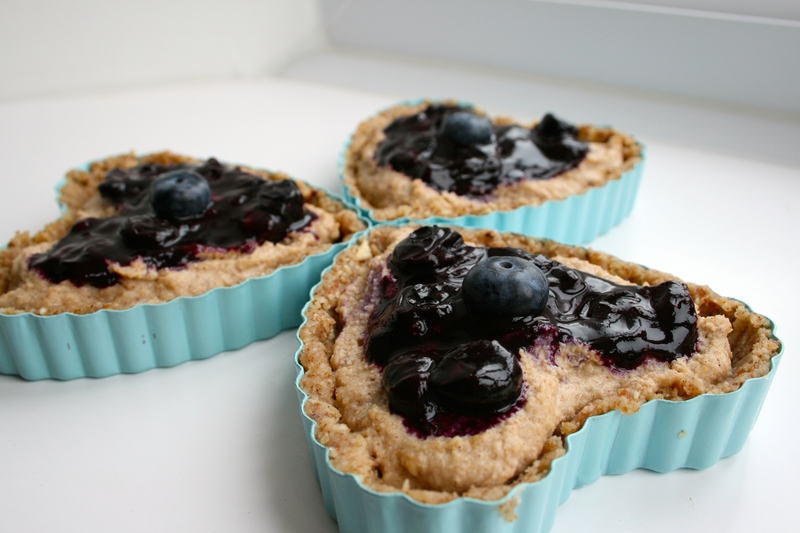 Whilst your tartlets are chilling, pop the blueberries into a pan with 2 tbsp of water and bring to the boil. Keep an eye on the blueberries because they catch very easily. Let the blueberries bubble away until you start to get a thick, jam like syrup. One word. WOW!!! These are amazingggggg. The base is soft and has an incredible texture. 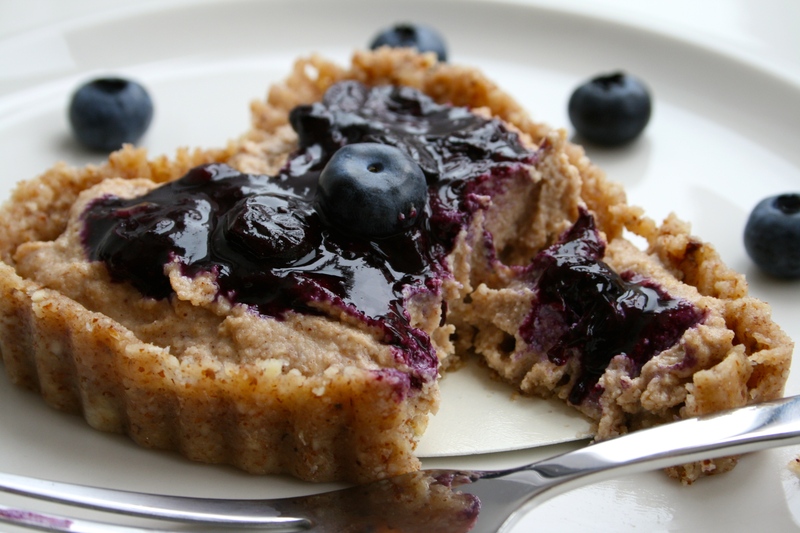 The filling is so rich and creamy and the blueberries are so sweet & delicious! Everything works so well together, urgh i’m in food heaven! Don’t forget to let us know how you get on if you try any of our recipes! 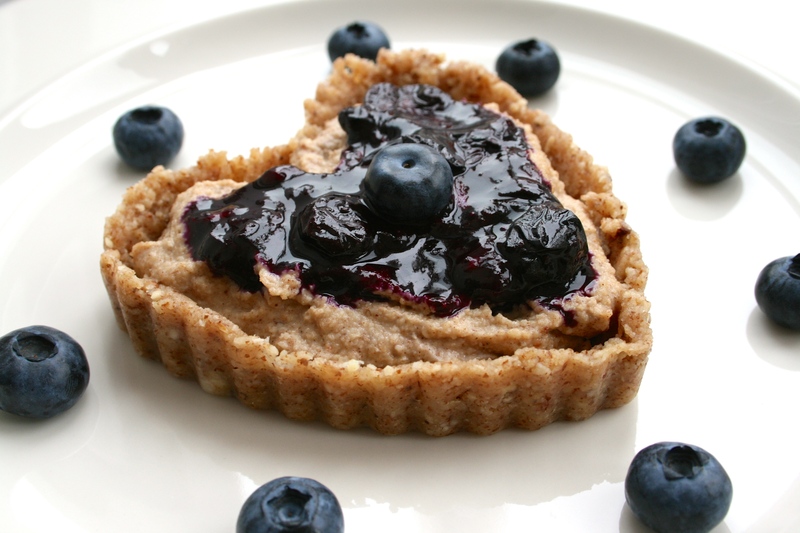 This entry was posted in Diet, Fitness, Food, Health, Product Review, Recipes and tagged baking, blueberries, cashew butter, Funky Nut co, gluten free, hbloggers, healthy, healthy baking, healthy fats, healthyfood, low fod map, natural ingredients, no bake, raw, recipe, review, tartlets, tiger nut, treats. Bookmark the permalink. 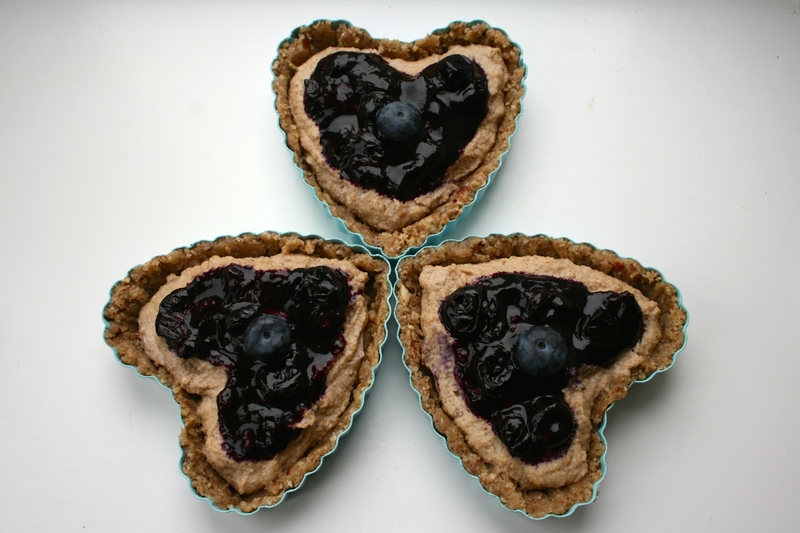 Pingback: High Protein Blueberry & Cherry Sherbet Tarlets Recipe – Nut Butter – But Better!